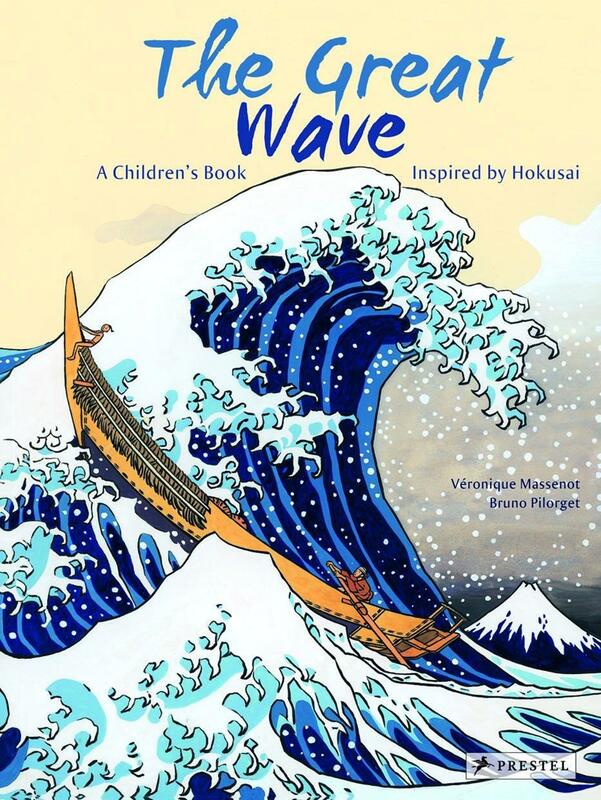 Hokusai’s classic woodcut of a majestic wave becomes the starting point for a storybook children will want to read again and again. On a stormy winter’s day, a baby boy, Naoki, is swept into a fisherman’s boat by a great wave. Years pass, but still Naoki does not grow. Must he return to the ocean in order to become a young man? The answer arrives in the form of a mythic fish. Japanese artist Hokusai is one of the world’s most celebrated printmakers. His famous woodcut, “The Great Wave,” epitomizes the artist’s characteristic techniques and themes. In this children’s book, the artist’s masterpiece is the genesis for a simple but compelling story, beautifully illustrated in pictures that recall Hokusai’s brilliant use of detail, perspective and color. A stunning reproduction of the woodcut itself is featured in the book, supplemented by information about the artist and his work. At once modern and classic, The Great Wave introduces young readers to a beloved artist and his timeless portrayals of nature and transformation. 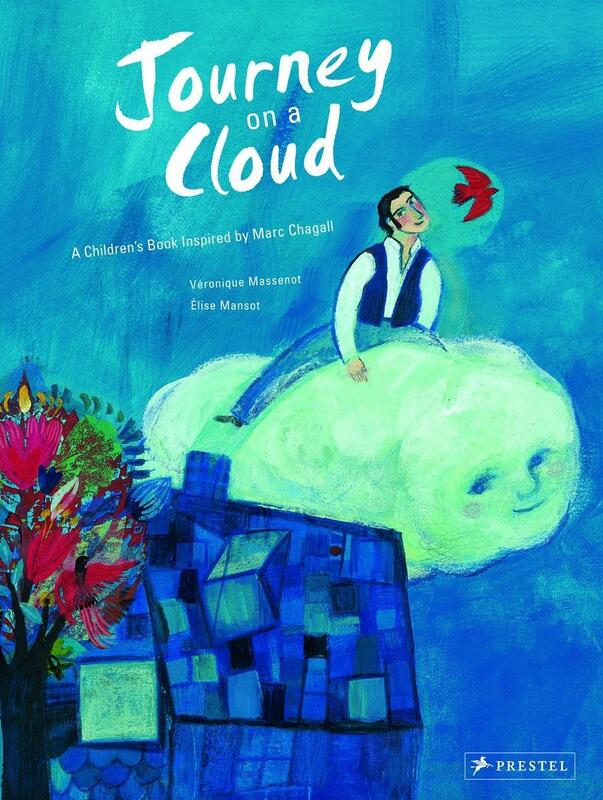 One of artist Marc Chagall’s most enduring paintings is the basis for this beautifully crafted children’s book that tells an enchanting story. This book tells the story of the postman Zephyr, who lives in a little blue village in the mountains where nothing ever changes. A dreamer hoping for adventures, he travels on a cloud, embarking on a fantastic airborne journey that takes him to distant and colorful lands. Eventually Zephyr falls to earth and meets a beautiful young woman. Together they return to the postman’s home village which is now transformed in Zephyr’s eyes and begin their exciting new life together. Inspired by Chagall’s masterpiece, a world of color and imagination awaits the readers of this book. Paintings based on Chagall’s striking palette and elegant lines help tell a simple yet poetic story. 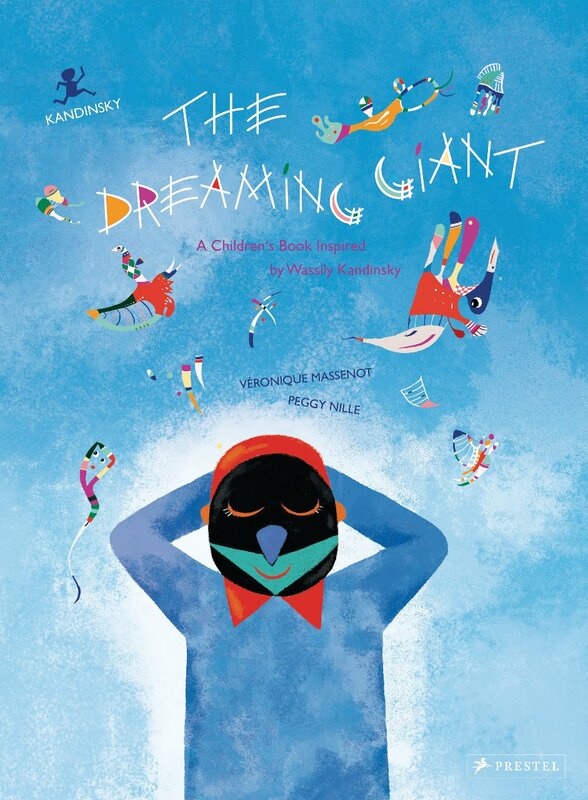 The book includes a gorgeous reproduction of Chagall’s masterpiece “Les Mariés de la Tour Eiffel” (“The Brideand Groom of the Eiffel Tower”), illustrating a journey of words and pictures, and introducing young readers to the work of one of the most popular artists of the twentieth century. 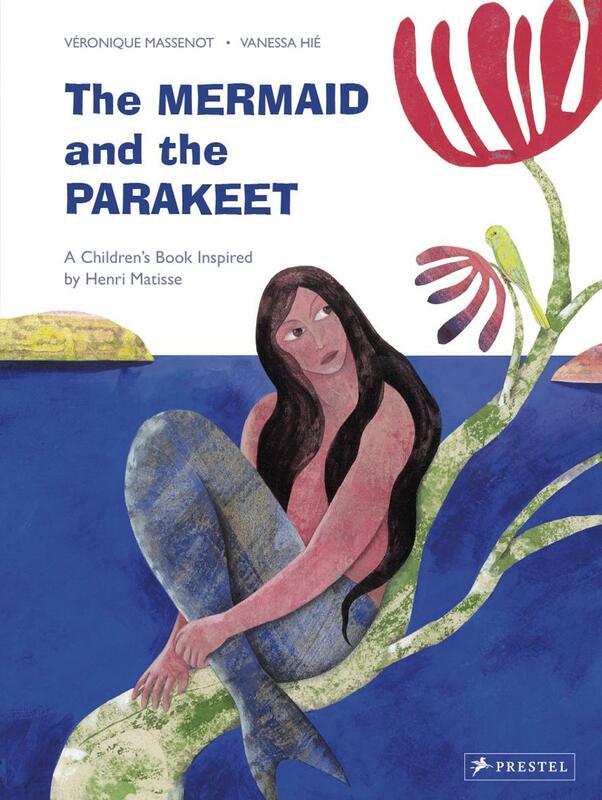 Beautifully illustrated in the style of Pablo Picasso, this tale of music's ability to soothe a savage beast introduces children to aspects of the great artist's work. The kingdom of Mirador is terrified of a monstrous, fire-spewing beast that lurks just outside the village walls. No one has actually seen the creature except for the king, whose constant reminder of impending danger turns the village gloomy and joyless. One spring day a troupe of musicians and their dog enters the gates. Suddenly there is fun and romance, song and dance. The people are no longer afraid—until the loathsome beast does, in fact, appear. What happens next will delight children and adults alike as the magic of art and music transforms screams of terror into peals of laughter. 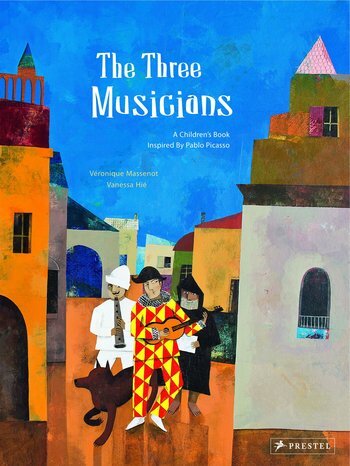 Drawing on details of Pablo Picasso’s masterpiece Three Musicians, artist Vanessa Hié uses brightly hued watercolors, bold lines, and graphic images to familiarize children with Picasso’s style. The book closes with a reproduction of Picasso’s original painting and an engaging lesson on the artist’s use of images and symbols, his fascination with theater and music, and his passionate pleas for peace in the wake of world war.